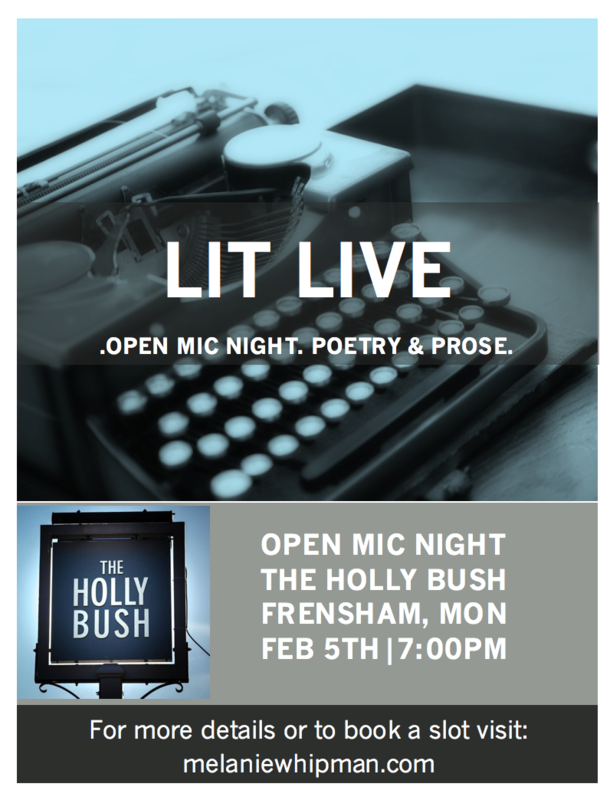 It will be the usual format - an informal and fun evening of poetry and prose, with some friendly audience participation. Come along to share your work, or just to meet and listen to other local writers. Free Entry for readers and voyeurs. Contact me on m.whipman@virgin.net if you'd like to submit a piece to read. The 'optimal' time is about seven minutes, so perhaps three poems or a couple of pieces of flash fiction or a short story up to 1000 words. Len Davis, Amanda and Alan MacLand, Rosemary Wisbey, Sarah Van Den Broek, Roy Woodard, Tracy Fells, Hannah Brockbank, Richard Hawtree, Katrina Dennison, Raine Geoghegan, Peter Piskov, Andrea Bird, Michael Grant, Peter March, Nigel Stewart Smith, Susan Corfield, Ruth Brandt, Linda MacVeigh, Sara Palmer, Sarah Hegarty, Jo Young, Lucy Courtenay, Leslie Tate, Sue Hampton, Mark Finney, Emmanuel Lachlan, Claire Thurlow.